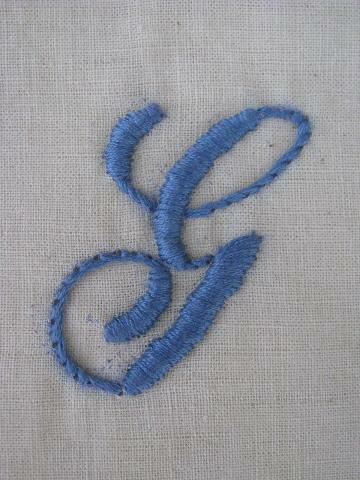 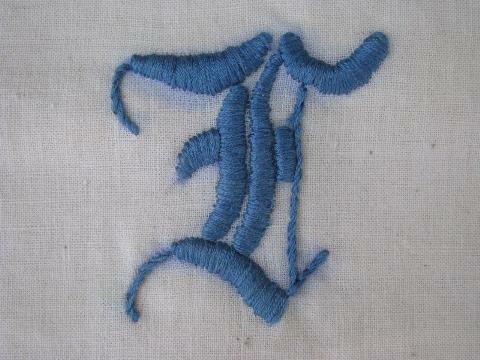 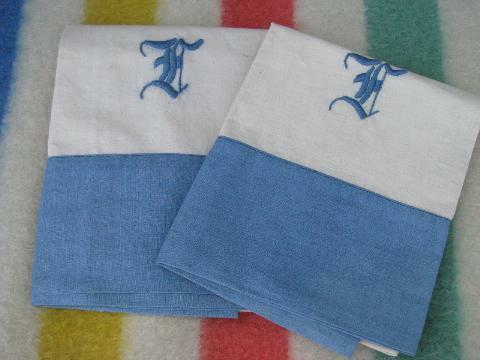 Lot of two sets of vintage cotton pillowcases with hand-stitched embroidered monogram letters (G and F)and pretty cotton fabric borders in shades of blue. 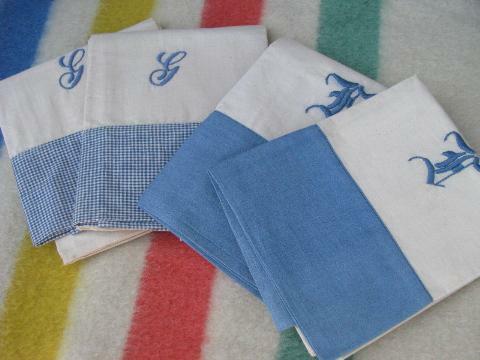 We love these, and think they'd look like heirlooms even if F or G is not your initial! 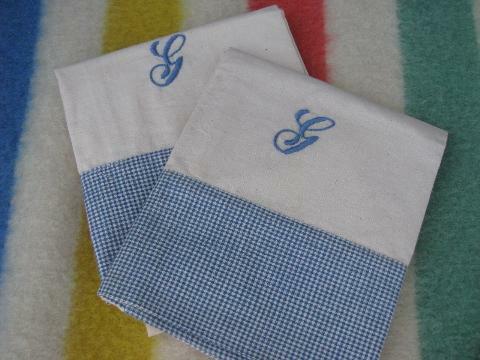 These have been used, and have light yellowing, brown foxing and spots, though none have rips or holes.